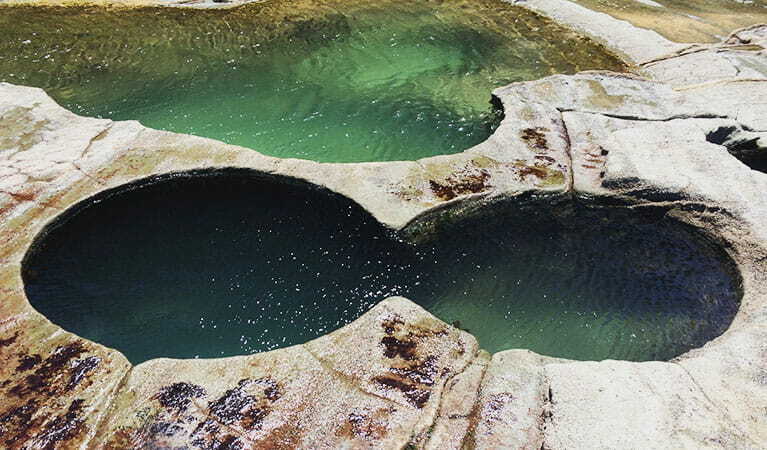 Figure Eight Pools is located on a dangerous rock shelf in Sydney's Royal National Park near Burning Palms Beach. Plan your trip using the wave risk forecast. Getting there – it’s a long walk! It’s a long, hard 6km walk on a steep, narrow, slippery track in a remote area. The walk takes 2 hours each way. Give it a miss if you’re not feeling fit. Aim to get to Figure Eight Pools before midday. No one wants to walk back up that hill in the dark, and park gates are locked by 8.30pm. Take care, the terrain is uneven and not suitable for young children or prams. If you must visit, look at a map first and wear the right shoes. This isn’t the place for thongs or high heels. Start the walk at Garrawarra Farm carpark, off Garie Road. The track winds down a steep hill, before it meets The Coast Track which you follow to Burning Palms Beach. Continue walking south from Burning Palms Beach to Figure Eight Pools. Use our risk forecast to plan your trip. Don’t go if it's mid tide, high tide, or if stormy weather is forecast. 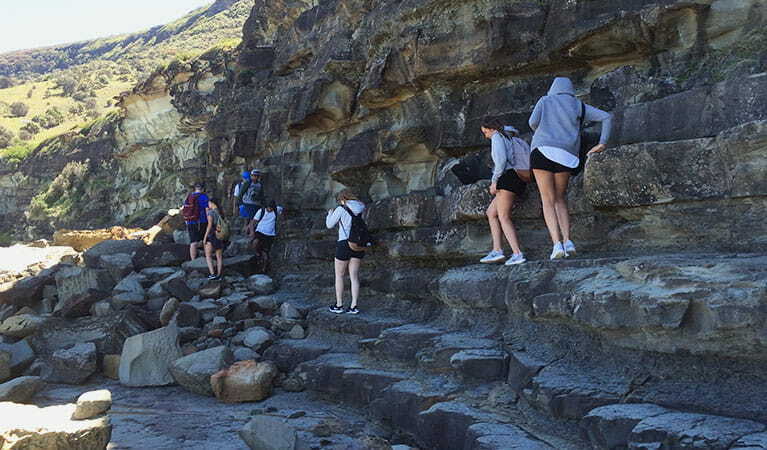 When you get to the rock shelf, stop and watch the waves for a bit before walking to the rock pools. Surf conditions at Figure Eight Pools change quickly. The ocean can be calm for a couple of minutes before a series of big waves can suddenly smash the rock shelf. Injuries happen at Figure Eight Pools all the time. Don’t let it be you. People often get dragged across the rock shelf by freak waves. We’ve seen head injuries, broken bones, and bad cuts and bruises from slipping on rocks. Some injured people had to stay overnight because there’s no emergency access. Think it can’t happen to you? In case of an emergency, ring Triple Zero (000) if you can get mobile coverage, which is limited. There are no lifeguards or rescue services nearby so you could be waiting a long time for help if you’re injured. If Emergency Services have to attend, they'll either have to walk down, or in extreme cases, you may need to wait overnight…and then have to pay for it! So, before you go, tell someone your plans and what time you’re coming back. It’s a hot, thirsty, difficult walk and there are no facilities. No toilet, no water, no food, no bins. Despite warnings, some can’t resist the temptation for a selfie. If you have to go, take a safe option and go there on a guided tour with Barefoot Downunder. They’re a NSW National Parks Certified Tour Operator. Their tours will only operate during low tide, low swell and safe ocean conditions. Have a backup plan and pick another place to visit if conditions are dangerous on the day you planned to go. Surf conditions change quickly, stay alert at all times. When conditions are dangerous, go somewhere else. 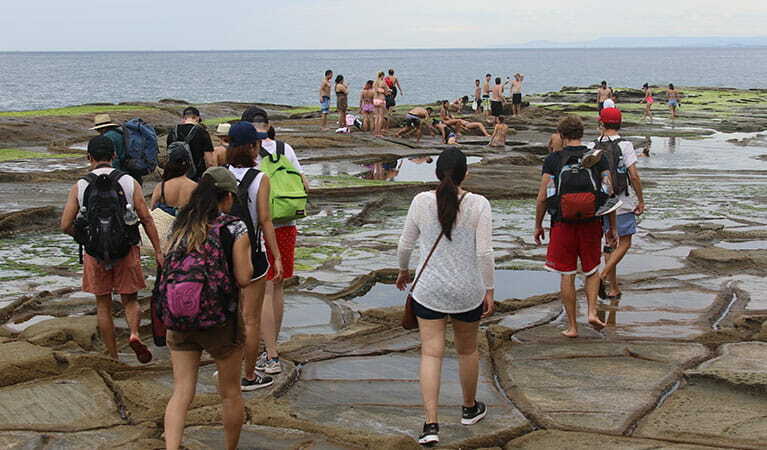 People have suffered large cuts, bruises and scratches from being washed over the rock platform. Be ready to walk at least 3 hours – it's hard. The track is slippery, steep and rocky. Going anyway and want that perfect photo? Don’t wait in line – avoid the crowds by going in the week. 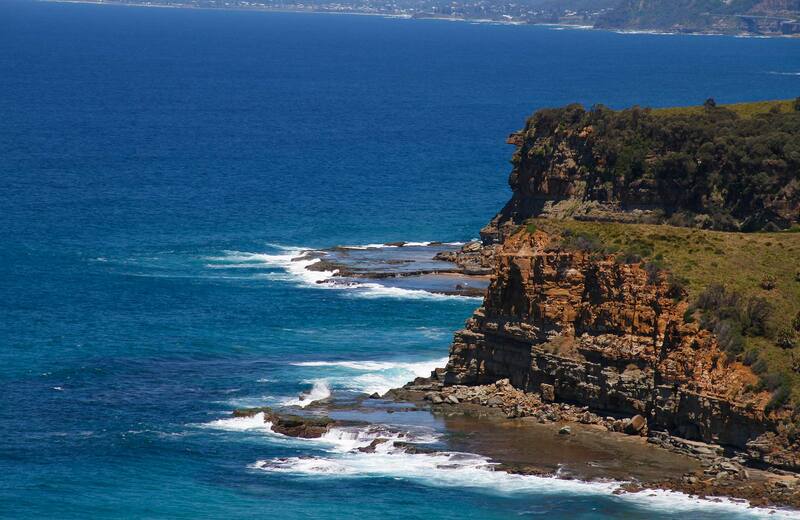 Royal National Park sure is beautiful, and it sure is popular. Avoid the traffic jams and crowds by cruising straight into its stunning neighbour and weekend paradise: Heathcote National Park. 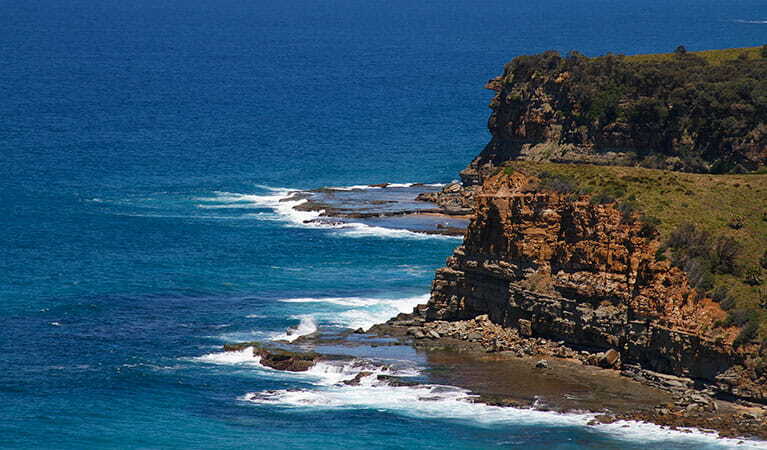 If you're looking for a tour that includes hiking, swimming and stunning scenery in Royal National Park, then this is for you. Taking a guided tour is a safe and fun way to see Figure Eight Pools.